Vande Bunte Eggs began in 1946, when Howard Vande Bunte began buying eggs from area farmers, packaging them and selling to grocery stores and restaurants. In the early years, the business was located in Forest Grove, Michigan, a small rural community west of Hudsonville, MI. Howard sold the business in 1976, but reacquired it only a couple of years later. Around the same time, Howard purchased a small farm with hens in Martin, Michigan, about 35 minutes south of Forest Grove. The farm housed a modest 35,000 hens and this farm, originally known as “The Tanis Farm” and later as Konos, Inc., produced and sold eggs. In 1977, they built a new hen house that held 60,000 chickens. In 1980, Konos added another house of 80,000 laying hens and shut down the original 35,000-bird house. In the early 1980’s, Konos struggled as their costs were not in line with the rest of the industry. Tim Vande Bunte, who was handling marketing and distribution for Vande Bunte Eggs in Forest Grove, started purchasing eggs from competitors of Konos, which were at the time more competitively priced. Like most companies would, Konos adjusted. All of this happened at a time when the consumption of eggs was on the decline, due to the general consensus that eggs were unhealthy because of the high cholesterol content. In 1987, the two companies (Konos and Vande Bunte Eggs) consolidated into one, the packaging operation of Vande Bunte Eggs was moved to Martin, and a third laying facility of 80,000 hens was built. Brothers Dave and Tim ran the business, which retained the name of Konos, Inc., with Dave focusing on the finances and crop farming, and Tim focusing on egg marketing and distribution. When Paul came on board in 1989 as the Production Manager, the management team was complete. With the management team intact and the companies merged, this would be the turning point for the Vande Bunte's flagship location in Martin, MI. In 1992, Konos continued to expand by adding layer facilities. Their expansion over the past 20 years has occurred during several phases. One of their more recently constructed houses (2014) is only the second facility in the nation to include the new “colony enriched housing.” This new housing environment, which results in lower bird mortality and calmer birds, is considered one the best for the bird, as well as one of the safest for the consumer. 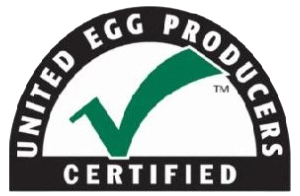 As the egg laying facility has grown, the packaging and distribution has also undergone significant renovations. Most recently, the dry storage and cooler areas were expanded, and a new state-of-the-art MOBA grader (a machine for weighing, washing, and packaging the eggs) was installed in 2010. Konos is now run by brothers Tim and Paul. Tim still focuses his attention on the marketing and distribution side of the business, as well as assuming the duties of President. Paul focuses his attention on production, including pullets, layers and expansion. With the hiring of nephew Rob Knecht in 2011, the third generation is now developing a passion and competence for the demands of this industry. Rob currently handles all sales for Konos and represents Konos as a board member of the UEP and MAPI. In 2015, Konos hired Adam Dickerson, another VB son/nephew, to construct and manage a new cage-free facility in Otsego, MI. In September 2015, Konos purchased Mussman’s Back Acres, a small egg producer located in Grant Park, IL. 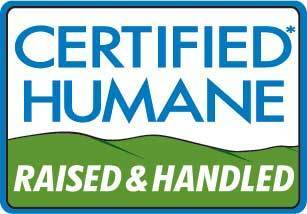 Our Grant Park location has capacity for 350,000 hens and Konos has future plans to expand and improve this facility. The company has already installed a MOBA grader, in addition to other improvements to the layer houses and office building. As of late 2016, Konos' cage free farm is home to more than 300,000 layers and 135,000 pullets. Capacity for this location will be over 500,000 layers in addition to 200,000 pullets. 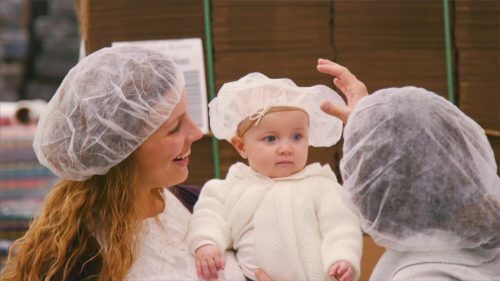 The state-of-the-art packaging operation at the Otsego location packages both cage free eggs and organic eggs. Organically raised hens are also a priority for Konos as it owns and markets almost 300,000 organic birds. These birds, by rule, need to be at a different facility. Konos now has a capacity for 2.7 million layers, as well as 750,000 pullets. They expect to package around 60 million dozen eggs in 2016. They raise nearly all of their own pullets until they are ready to be transferred to a laying house, in order to control costs and maintain high quality. They no longer grow their own feed, as the operation is simply too large to grow enough supply, but instead purchase corn and soybean meal from various area farmers. They have approximately 165 part-time and full-time employees. Having just recently expanded their layer flocks by 900,000 hens, the company does not have any immediate plans for expansion. However, history indicates that expansion is most likely only a few years away. The company has a strong customer base and has never had difficulty selling the additional eggs produced by an ever growing flock.